Is Norovirus the Stomach Flu? 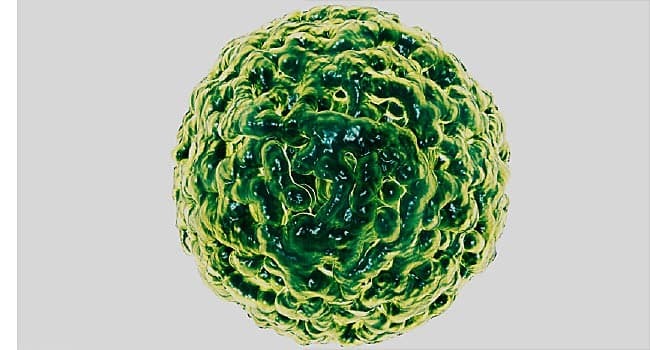 What Are the Symptoms of a Norovirus Infection? When Should You Call or Visit the Doctor? It spreads easily through food and drink and can have a big impact on people's health. The CDC estimates that noroviruses are responsible for more than half of all food-borne disease outbreaks each year. Noroviruses are sometimes called food poisoning, because they can be transmitted through food that's been contaminated with the virus. They aren't always the result of food contamination, though. Norovirus is not related to flu. Flu is an infection of the respiratory system that causes fever, chills, aches, and pains. In fact, there’s no such thing as stomach flu, and it’s a term that Gaydos encourages patients to avoid. The confusion that it causes can have serious consequences. “Sometimes people don’t want the flu shot because they say they’ve already had a stomach flu,” says Gaydos. “I try not to use that term." “You don’t need that much exposure to get sick,” says Gaydos. Noroviruses thrive in close quarters, such as restaurants, day-care centers, and nursing homes, because they are hardy and highly contagious. They can survive temperature extremes in water and on surfaces. Once someone is infected from contaminated food, the virus can quickly pass from person to person through shared food or utensils, by shaking hands, or through other close contact. When someone with the virus vomits, the virus can spread through the air and contaminate surfaces. The virus also spreads through feces, meaning that someone who doesn’t thoroughly wash his hands after using the bathroom can pass it along. Dirty diapers can also harbor norovirus. Young children, the elderly, and people who have a weakened immune system are particularly susceptible to catching noroviruses. The spread of the virus can be hard to control because it's contagious before symptoms appear. In other words, you can spread the infection before you know you’re sick. If you come down with a norovirus infection, you'll probably go from feeling completely healthy to absolutely miserable within a day or two after being exposed. Typical symptoms include nausea, vomiting (more often in children), watery diarrhea (more often in adults), and stomach cramps. Most of these symptoms aren't serious, but diarrhea and vomiting can deplete your body of the fluid it needs, and you can become dehydrated. Children and the elderly are most susceptible to dehydration, as well as malnutrition from not getting enough nutrients. If you have norovirus symptoms, your doctor can give you a stool test to confirm that you have the illness. However, norovirus diagnosis is usually made based only on symptoms. Noroviruses, like other viruses, don't respond to antibiotics, which are designed to kill bacteria. No antiviral drug can treat noroviruses, but in healthy people, the illness should go away on its own within a couple of days. Most people don't have any long-term problems from the virus. To prevent dehydration, make sure to drink plenty of liquids, especially water and juices. Give children an oral rehydration solution (such as Pedialyte) to replace lost fluids and electrolytes. Avoid sugary drinks, which can make diarrhea worse, as well as alcohol and caffeinated beverages, which can dehydrate you further. Symptoms of dehydration include dizziness when standing, dry mouth, and peeing less. Children who are dehydrated may be unusually sleepy or fussy and produce few or no tears when they cry. “Some people get listless, lethargic, not acting like themselves -- that could indicate compromised electrolyte balance from dehydration, and that requires medical attention,” says Gaydos. If severe dehydration develops, contact your doctor. Severe dehydration is sometimes treated with intravenous (IV) fluids. While you can shed the virus for up to 8 weeks, it is less and less infectious over time. In most cases, you can return to work or school after you have been symptom-free for 48 hours, Gaydos says. Food service workers are generally encouraged to wait 72 hours before they handle food. In most cases, you will get better on your own after 1 to 3 days. Call your doctor’s office if you have symptoms after 3 days, Gaydos says. Also, pay attention for symptoms of dehydration, which may also require a doctor’s attention. In rare cases, your vomiting could mean something more serious than norovirus. If your vomit is green or yellow, that could be a sign of a bowel obstruction. See a doctor right away. Wash your hands often with soap and water for at least 20 seconds, especially after going to the bathroom or changing a baby's diaper, and before you prepare or eat food. Alcohol-based cleansers are not as effective as soap and water. Carefully throw away any contaminated items (such as dirty diapers). If you have norovirus, don't prepare food for at least 2 to 3 days after you feel better. Try not to eat food that has been prepared by someone else who is sick. Edward Gaydos, DO, pediatrician, Cleveland Clinic. San Francisco Department of Public Health: "Norovirus."